A universally known fragrance during summer holidays in the Provence or in grandma’s linen cupboard. 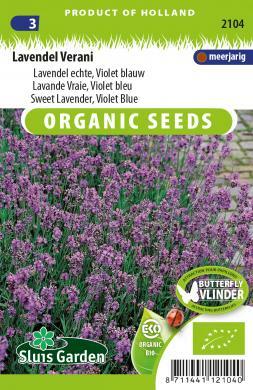 Sweet Lavender has silvery grey leaves and splendid blue flowers. Can be grown as a solitary plant, as a low hedge or in pots. The flowers are plucked for use in linen sacks, flower arrangements, and even in cakes. Sow in a greenhouse in a seedbed, prick out in pots and then transplant. After flowering cut back and cover during severe frost.